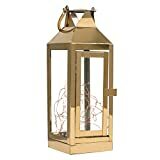 Mouth blown storm lantern from LSA International. 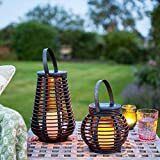 Create ambience for everyday living, garden dining or entertaining. Colour:White (colour may vary slightly from that shown). 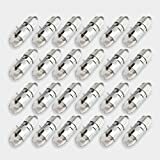 Maximum wattage: 60W (Tungsten) - 18W (Low energy). 10pcs packed, White color, sold as a set. The Duronic Hurricane is the perfect product to accompany you in the dark. If you are on a camping trip, let the Duronic Hurricane be at your side and brighten your trip when the daylight has disappeared. Use it in your tent, on your table, when going out at night or in an SOS situation. 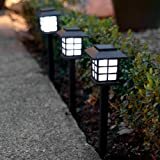 You can also use it as an emergency light in your home and garden. The great thing about this piece of kit is that you can charge the unit by hand using the winding handle or via a USB socket. 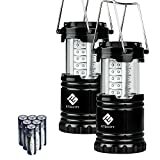 With a maximum of 2.25Hrs Lantern time when fully charged you can be sure the Duronic Hurricane will not let you down. Spotlight function: 3 LED bulbs to provide high brightness to cover various distances. 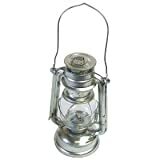 Lantern: 10 straw lights to light up the immediate area providing up to 32Lm. Red Flashing Lights: 5 red straw lights that switch the red on and off. The Max. luminous flux of spotlight: 18, The Max. 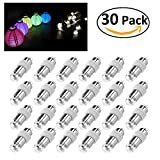 luminous flux of lantern: 32, 3-LED spotlight lighting time after 1 minute cranking: 15min. 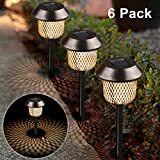 10-LED lantern lighting time after 1 minute cranking: 6 min. 5-LED red flashing time after 1 minute cranking: 120min. 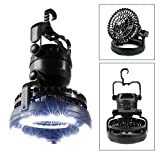 3-LED spotlight lighting time after being fully charged : 5.5Hrs. 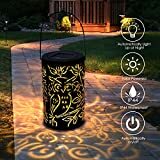 10-LED lantern lighting time after being fully charged: 2.25Hrs. 5-LED red flashing time after being fully charged: 30Hrs. Add a botanical trend to your home with this silver tall double layered terrarium. 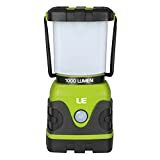 BRIGHTNESS: The highest brightness of this lantern is up to 1000lm. 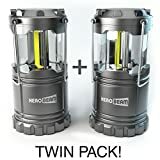 By adopting the semitransparent panel housing, this camping tent light gives off the light pretty evenly without dazzling. DIMMABLE: Infinitely dimmable ranging from 3000K to 6000K, and flash function at full brightness is available. 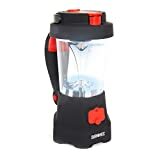 PORTABLE: This portable light uses 3D batteries(not included) as power supply, you can use it for walking dog, camping, hiking, emergency usage or other activities. APPLICATION: You can use it for walking dog, camping, fishing, emergency usage or other activities. 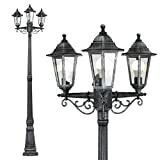 Home +decorative lanterns made of rust-free stainless steel and hardened glass for indoor and outdoor use. Hardened, break-proof and heat-resistant tempered glass. Waterproof materials means that it can be used both indoors or outdoors the whole year round. Timeless design gives you an endless range of decorating possibilities. Dimensions (WxD): 16.6 cm x 16.6 cm, height can be selected. FAST DELIVERY: Local delivery, only takes 3-5 days for arrival. 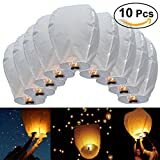 SAFE MATERIAL AND DELICATE PACKAGE: Pack of 10 x high quality and eco-friendly Sky Lanterns. Made from fireproof biodegradable paper. Each lantern and burner is individually packed. Each lantern is enclosed in cellophane for safe storage. MAKING A WISH: Sky lanterns can be used to send messages to a loved one or make a good wish. When putting your message on the lanterns please use a thick felt-tip pen, as any other pen used may damage the lantern. 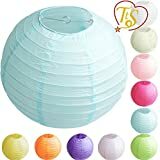 OCCASION: These Chinese paper flying lanterns are suitable for Birthdays, Valentines Day, Christmas Day, Anniversaries, Celebrations, Parties, Weddings and any other special events. 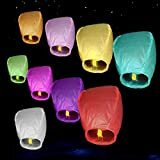 EASY OPERATION: Be careful when unpacking as the night sky fly lanterns may be damaged. 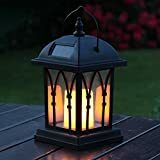 Damaged lanterns must not be used. Make sure the lantern is fully opened. Approximately 1 to 2 minutes should be enough time to fill the lantern with hot air. You will feel the lantern get lighter and now release the lantern with your wish. Only launch in dry, calm/windless conditions. CUSTOMER SERVICE: Any questions or problems, please contact us. We would offer the best solution for you at the first time. Our customer support team is at your service anytime. 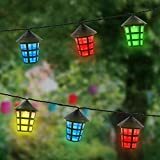 STRONG AND DURABLE - Made from wire and Acrylic these lights will not rust and to ensure the life and brightness of the light please clean solar panel regularly. POWER COSUMPTION - Lasts up to 8 hours on a full days charge. 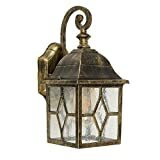 Antique Brass finish vintage styled fisherman ceiling pendant light. OCCASION: Suitable for Birthdays, Valentines Day, Christmas Day, Anniversaries, Celebrations, Parties, Weddings and any other special events. EASY OPERATION: Be careful when unpacking as the lantern may be damaged. Damaged lanterns must not be used. Make sure the lantern is fully opened. 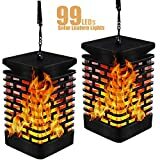 Approximately 1 to 2 minutes should be enough time to fill the lantern with hot air. You will feel the lantern get lighter and now release the lantern with your wish. Only launch in dry, calm/windless conditions. 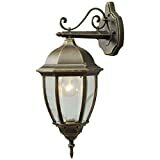 VINTAGE SHABBY CHIC - These beautiful metal lanterns blends seamlessly outdoors or in. With distressed bronze effect finish, this lamp reflects sunlight elegantly, whilst a candle inside will create a complimenting soft and inviting warm glow. 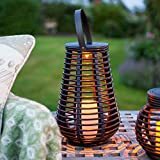 HURRICANE CANDLE LANTERN - This Design Of Candle Holder Is For Larger Candles And The Age Old Design Prevents Your Candles From Being Blown Out By A Passing Breeze, Especially Handy In And Around The Garden Also Prevents Children From Being Exposed To Naked Flames. 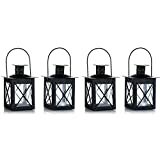 VERSATILE LIGHTING - Our high quality candle lanterns make a classic and contemporary accessory for any home. 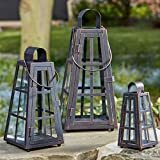 These tall hurricane lanterns make an impressive statement in any part of the home. Whether it be your hallway, fireplace, in the garden or to decorate your wedding. MATERIAL - These Elegant candle holders have been made from metal and glass with the metal having the vintage finish. They also have a polish upper dome and handle. 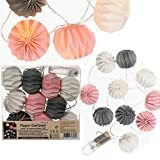 A VARIETY OF PAPER LANTERN SIZES IN ONE PACK: This product includes 20 Red Paper Lanterns of the following sizes: 4 pieces of 14inch lanterns, 4 pieces of 12inch lanterns, 4 pieces of 10inch lanterns, 4 pieces of 8inch lanterns, 4 pieces of 6inch lanterns. 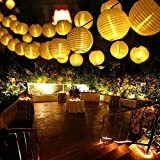 The size variety of the paper lanterns provide an eye catching spectacle and a relaxing atmosphere in any living space. 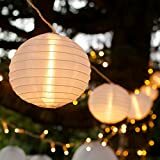 LIGHT UP YOUR PAPER LANTERNS: 20 LED lights are included. 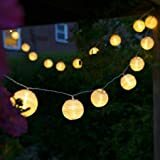 These LED lights, which can be used both indoors and outdoors, provide soothing, warm, non-blinking white lights which emanate from within the paper lanterns. 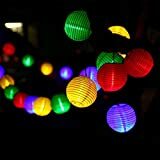 The LED lights have a hook on top of them which enable them to be hung easily inside the paper lanterns. 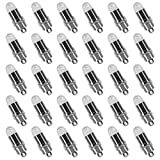 The LED lights are powered by 3 x 1.5v LR41 batteries, which are included in the batteries so you can start using them immediately. 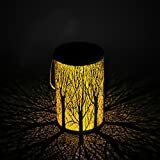 EASY TO STORE AND RE-USE: The paper lantern lampshades and LED lights are easy to set up and after use can easily be collapsed and stored in the provided plastic package and storage box. 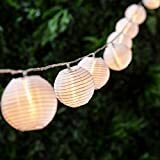 USE PAPER LANTERNS IN A VARIETY OF FESTIVE EVENTS AS WELL AS DECORATIVELY: These paper lanterns and LED lights are ideal for use in festive occasions such as weddings, family celebrations, birthday parties and can also be used for decorative purposes in living or bedrooms, patios, classrooms, kids nurseries. 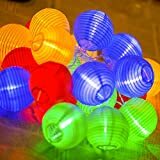 USE AS LAMPSHADES IN YOUR ROOMS AT HOME: The paper lanterns can also be set up with regular bulbs hung in the middle.